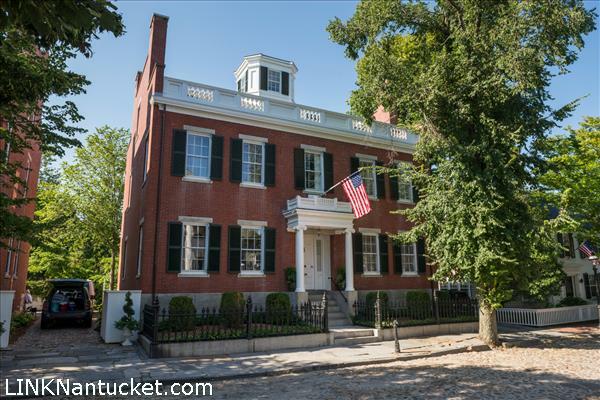 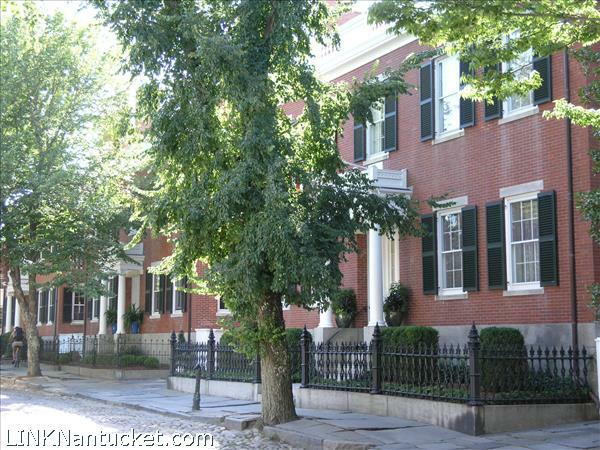 The “East Brick,” is one of the 3 Starbuck Mansions built by Joseph Starbuck in 1837. 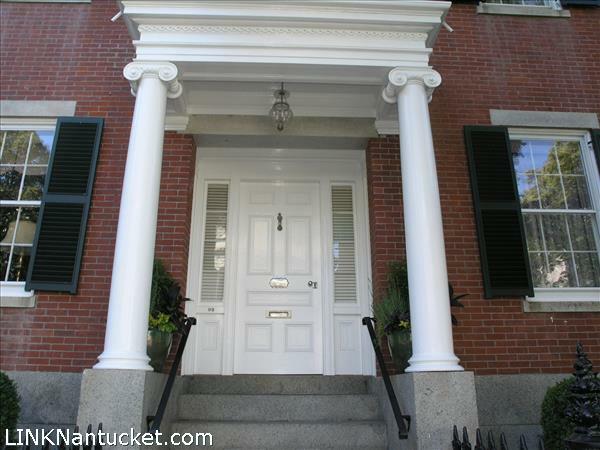 One for each of his 3 sons, this one was built as a gift for his son William. 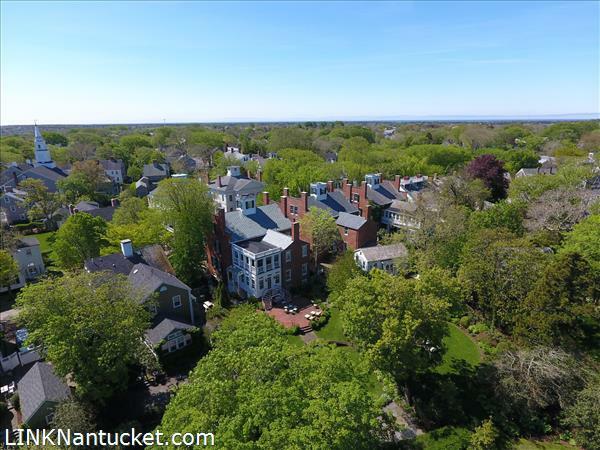 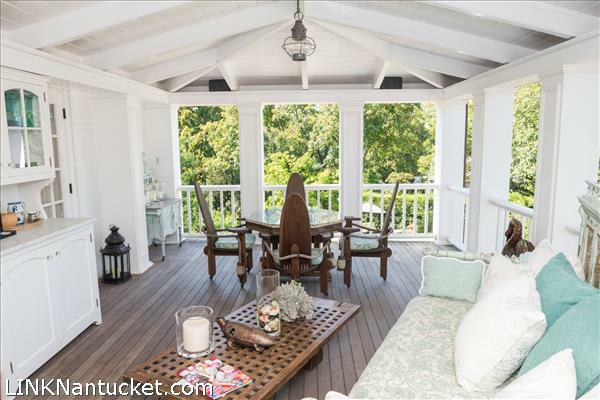 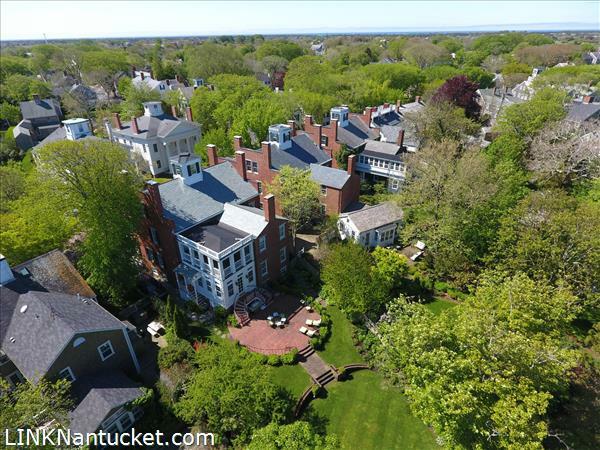 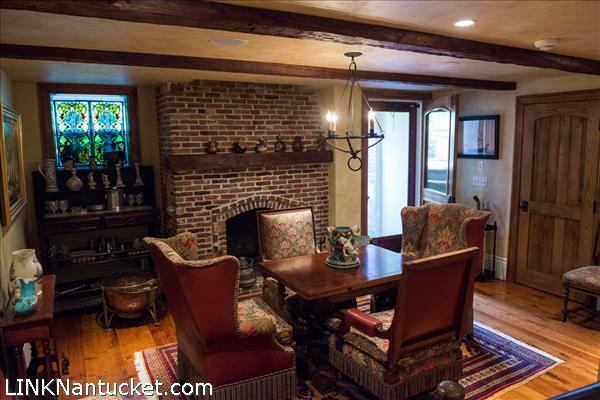 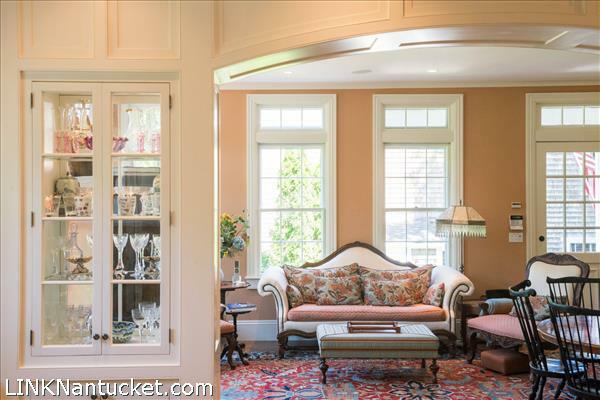 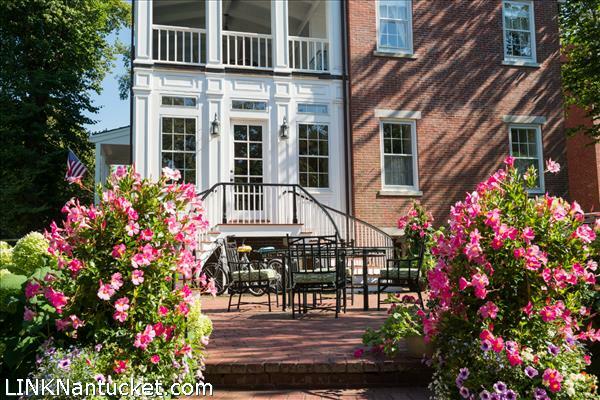 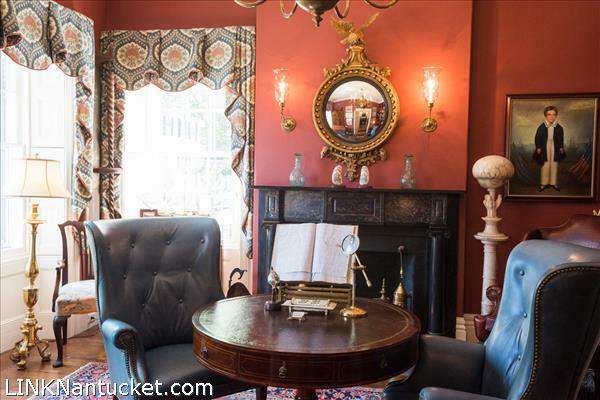 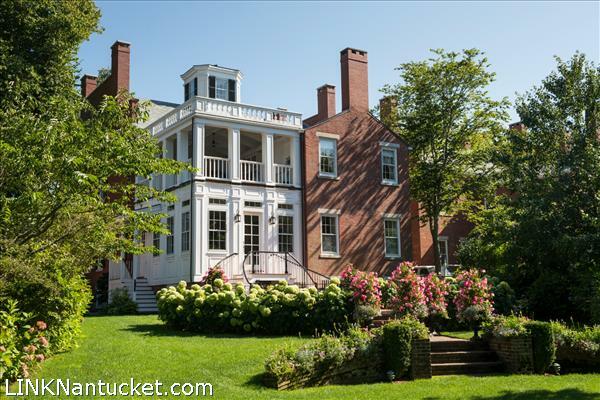 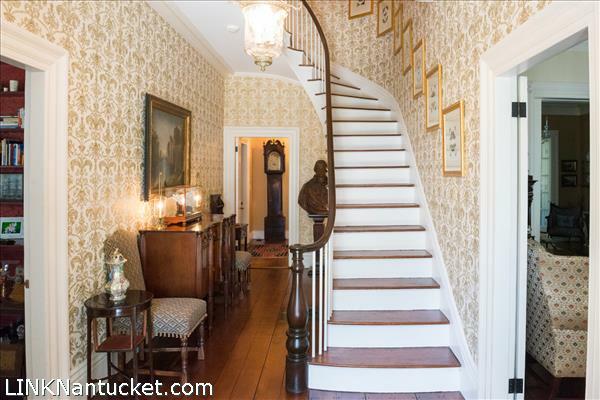 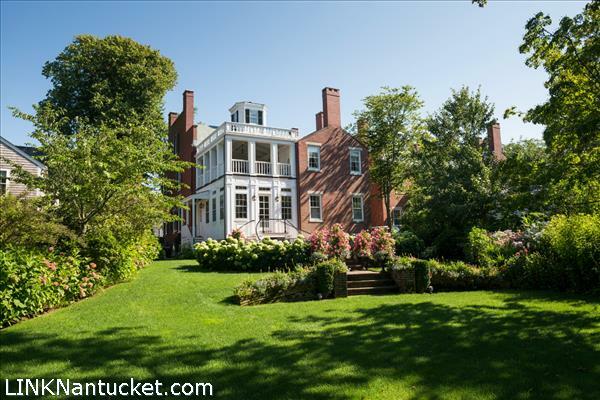 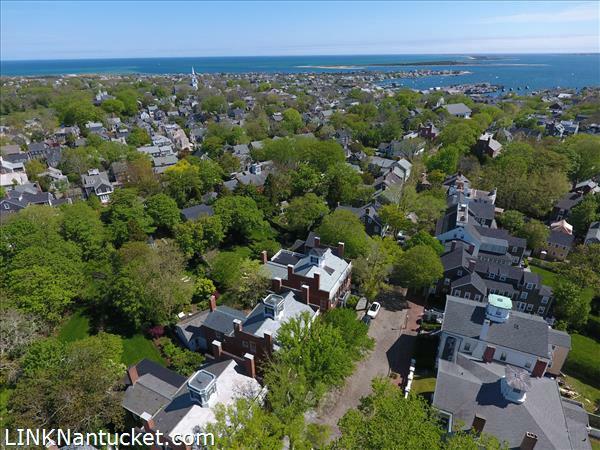 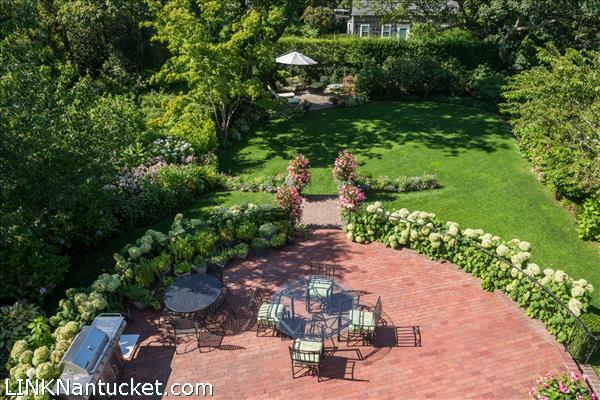 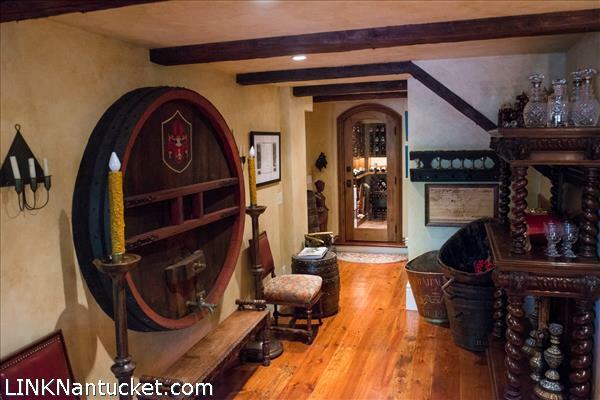 It is an iconic, historically significant home built in the Georgian style and is a major contributor to the historic architecture and fabric of Nantucket. 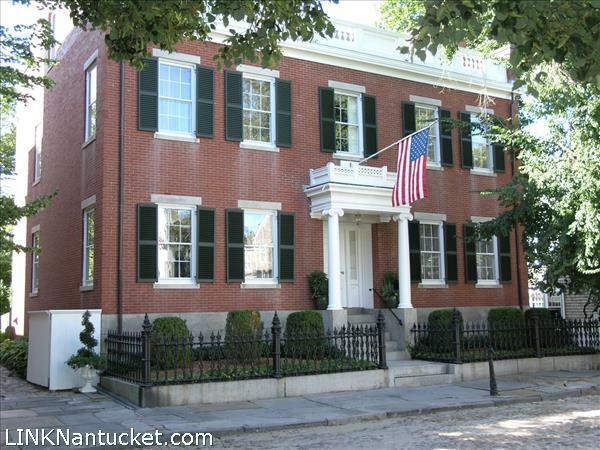 Recently updated and restored this is one of the most distinctive historic homes in the country. 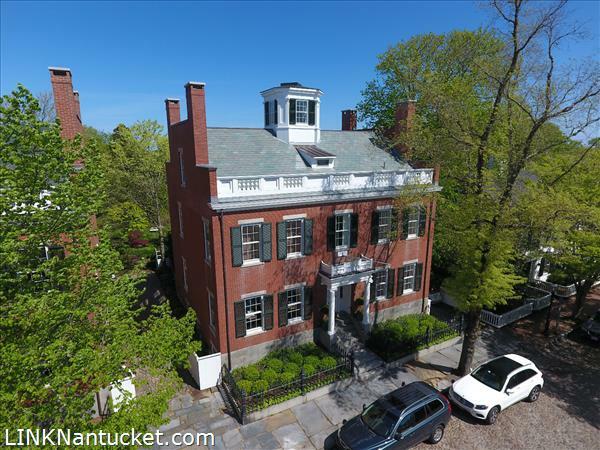 The current owners have undertaken an historically sensitive restoration including plaster moldings and rosettes, uncovered and restored a basement fireplace, installed a new slate roof as well as restored the brick parapets. It is fully renovated and updated for modern living. 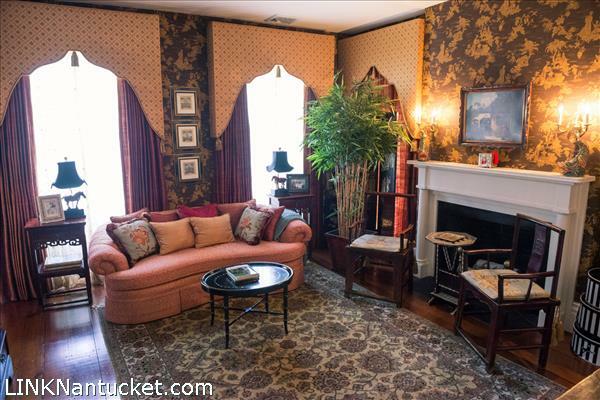 The owner has researched and installed wall coverings and custom drapery fabrics typical for this period. 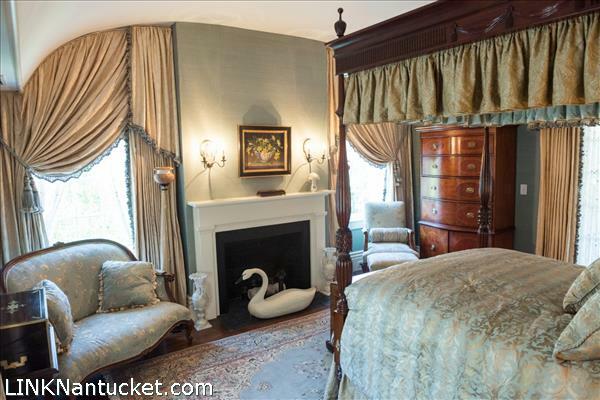 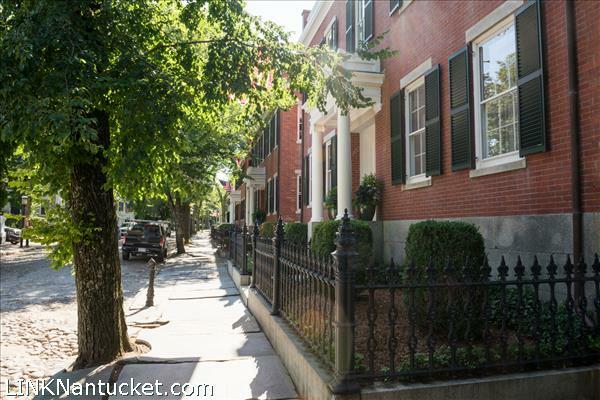 There are 6 bedroom suites, 4 with fireplaces and all with beautiful private baths. 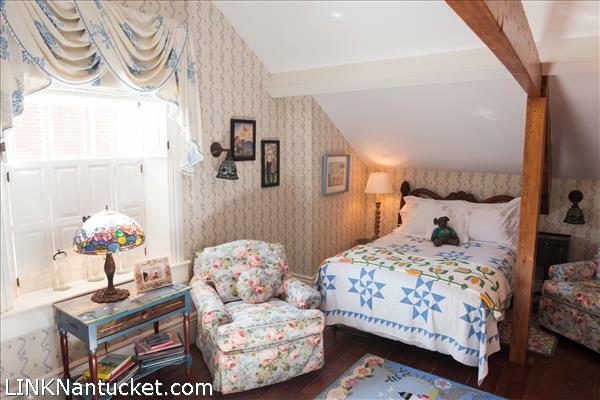 On the third floor there is a large open room plus 2 bedrooms that share a bath. 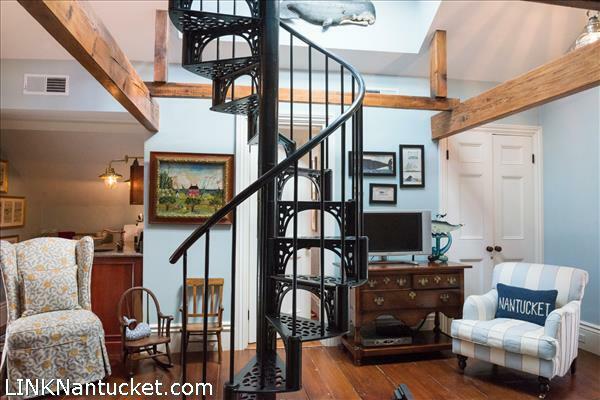 The 3rd floor also provides easy access to the cupola where the Starbuck family could watch for their whale ships to return from the Pacific. 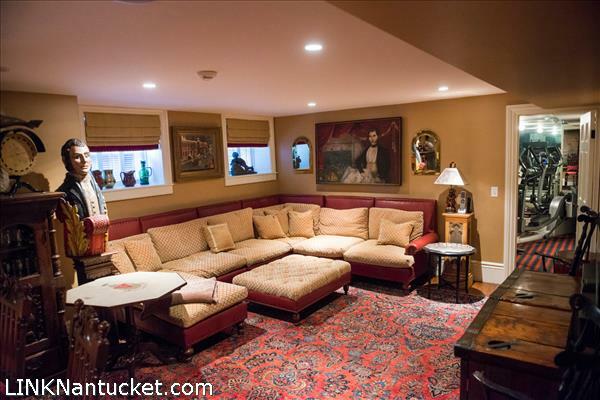 The lower level is set up with a full Kitchen, Living room and 2 bedroom suites that can be used as a separate apartment, There is a wine cellar, and tasting room with a gas insert fireplace discovered during restoration, and walkout access to the rear brick patio and gardens. 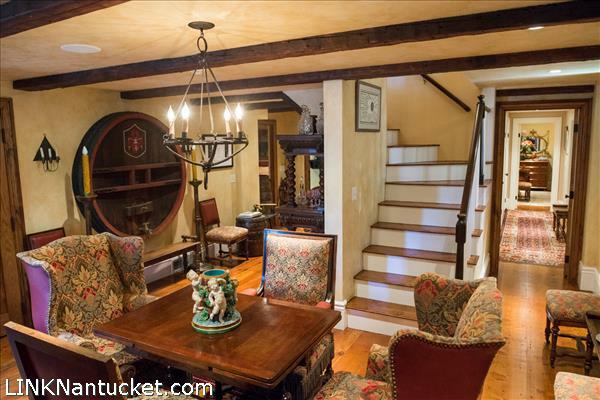 Basement: Lower Level: Family/TV room, full kitchen, bedroom with bathroom. 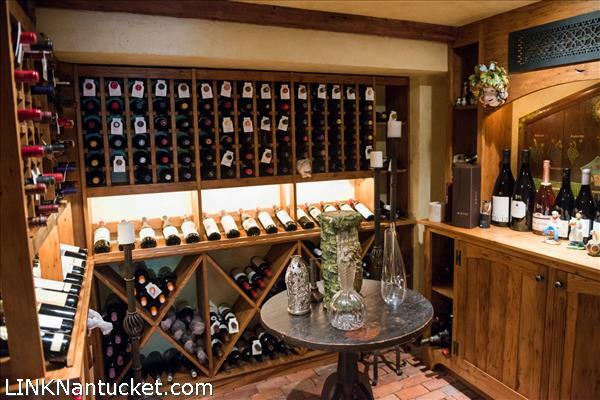 There is another bedroom with steam shower; Wine cellar, tasting room and ample storage and laundry room complete the lower level, which has direct walkout to the rear patio. 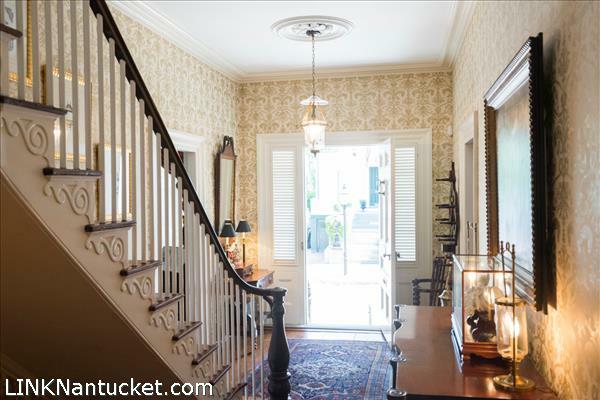 1st Floor: Granite steps lead up to the grand entry foyer and hall with original curved staircase; To the right are double parlors with fireplaces. 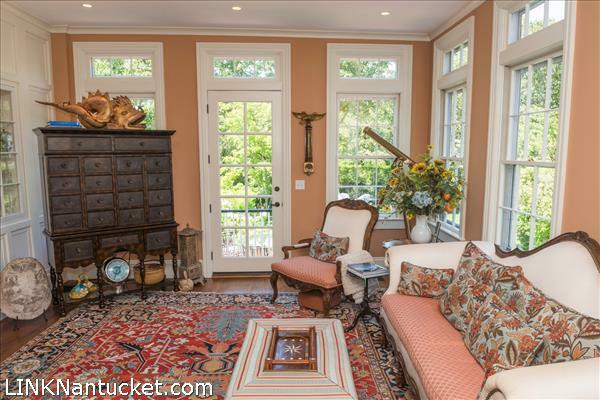 Beyond this is the rear family room with over sized windows overlooking the gardens, patio and large private yard. 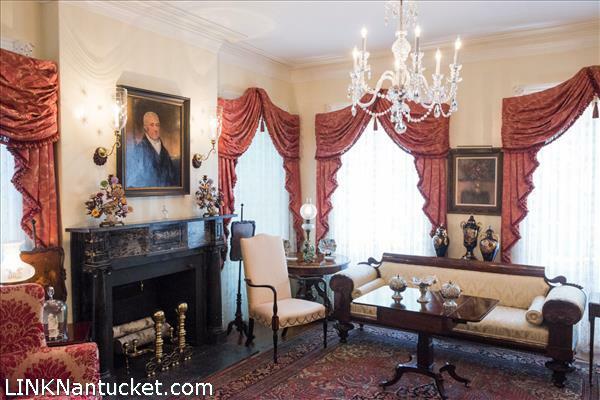 To the left of the front hall is the office where William Starbuck most likely conducted business, like all the formal rooms it has a marble fireplace and high ceilings with original plaster rosettes and moulding details. 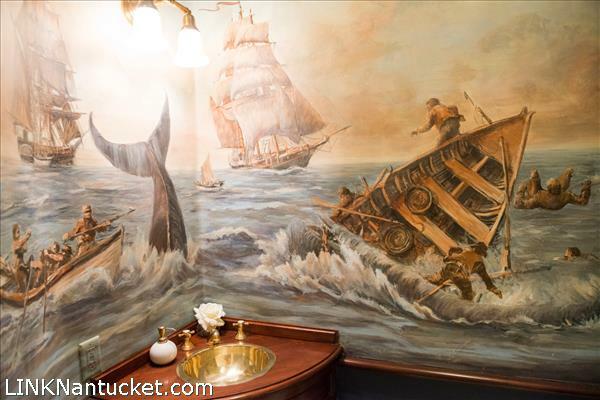 The dining room has hand painted whaling era murals painted in the 1950s. 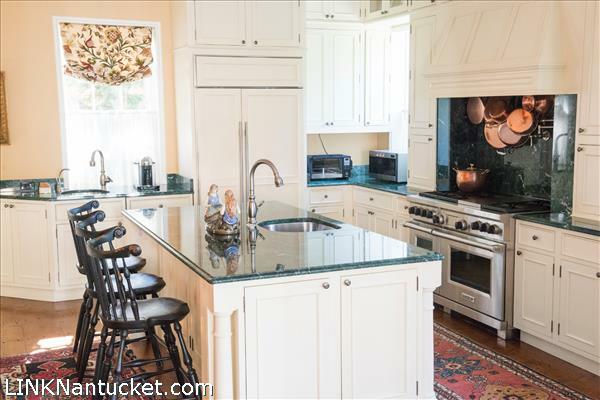 The modern chef's kitchen has all of the best appliances. 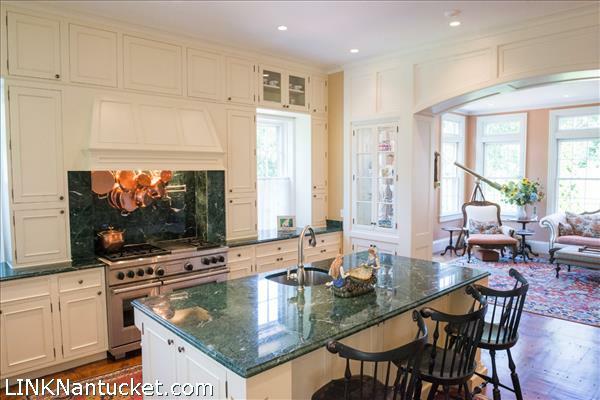 The large island is ideal for casual family socializing. 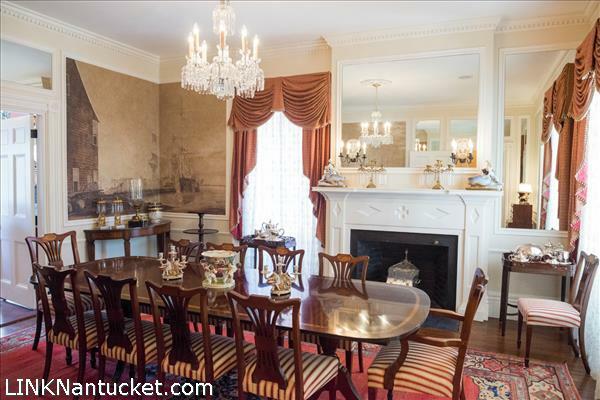 There is an additional dining area in the adjoining family room. 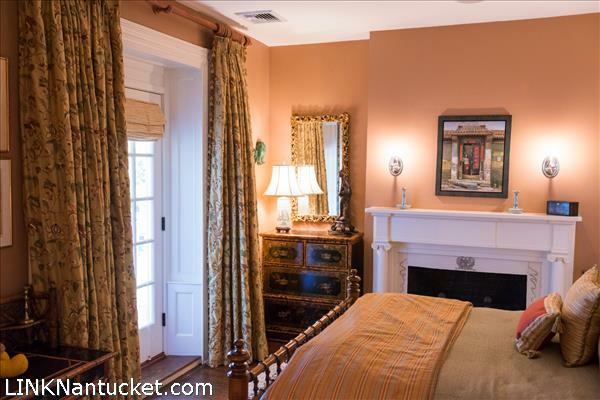 2nd Floor: Large master suite with fireplace, marble master bath has fireplace, soaking tub, shower, attached sitting room with fireplace and full bath which could be a separate bedroom suite, two additional bedroom suites, both with marble baths and fireplaces. 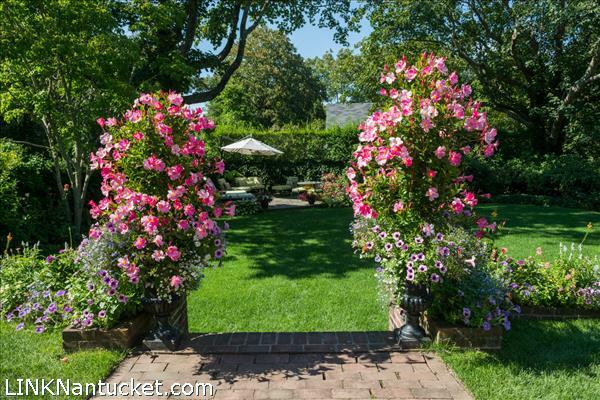 There is a unique 2nd floor loggia overlooking the lawn and gardens, which is an ideal setting for dining or relaxing. 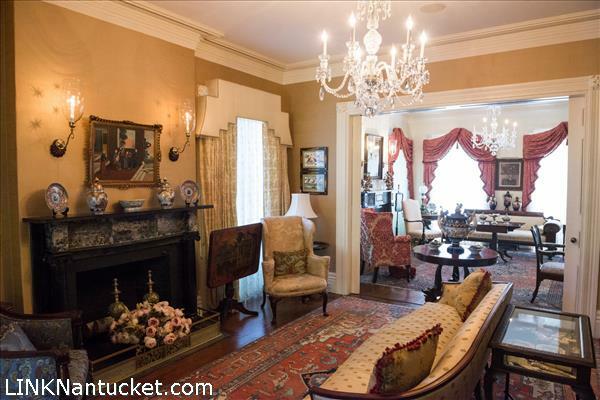 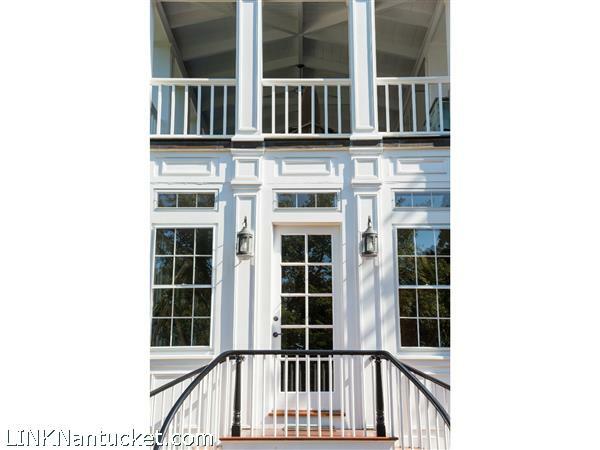 3rd Floor: Cathedral ceiling living /family room with wet bar and circular cast iron stairs to the roof top cupola. 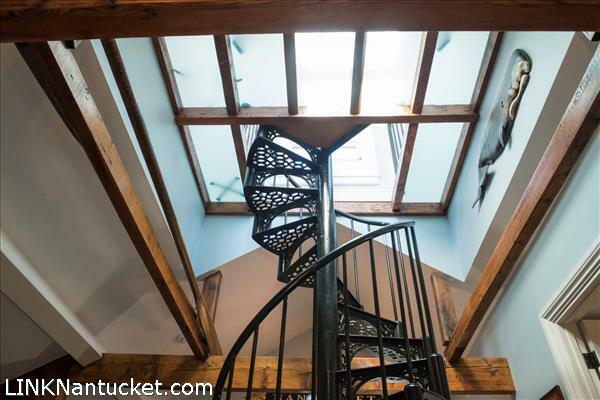 Natural light filters down through the glass floor of the cupola. 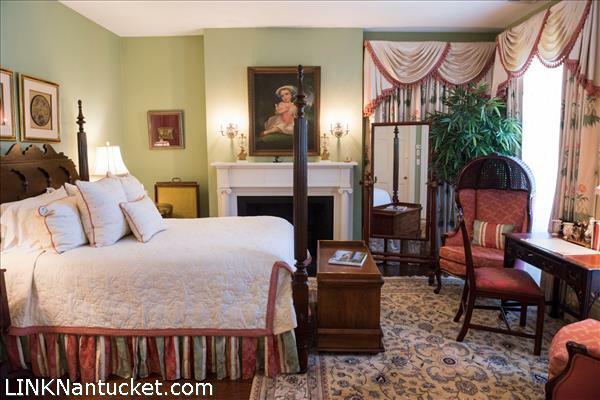 Two bedrooms share a marble bath with shower. 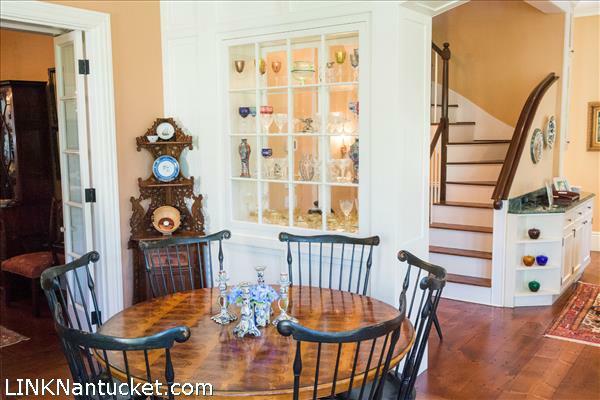 Listing has been viewed 660 times.